Tony Ardizzone was born and raised on the North Side of Chicago. He is the author of seven books of fiction, including The Arab’s Ox: Stories of Morocco, an updated edition of his previously published interconnected story collection, Larabi’s Ox. The February 2018 release of The Arab’s Ox marked the book's 25th anniversary. Ardizzone is also the author of four novels: The Whale Chaser, In the Garden of Papa Santuzzu, Heart of the Order, and In the Name of the Father. His short story collections include Taking It Home: Stories from the Neighborhood and The Evening News. He is currently working on a novel set in Rome and Croatia. Ardizzone has been awarded two Individual Artist Fellowships from the National Endowment for the Arts, the Flannery O’Connor Award for Short Fiction, the Milkweed Editions National Fiction Prize, the Chicago Foundation for Literature Award for Fiction sponsored by the Friends of Literature, the Virginia Prize for Fiction, the Pushcart Prize, the Lawrence Foundation Award, the Bruno Arcudi Literature Prize, the Prairie Schooner Readers' Choice Award, the Black Warrior Review Literary Award in Fiction, and the Cream City Review Editors' Award in Nonfiction. Ardizzone also edited the anthology The Habit of Art: Best Stories from the Indiana University Fiction Workshop. Previously he served as the managing editor of three volumes of Intro, an annually published anthology of fiction and poetry written by students in graduate creative writing progams, published by the Association of Writers and Writing Programs. After the series became dormant, as a member of AWP’s Board of Directors Ardizzone founded, organized, and launched AWP's Intro Journals Project, which annually publishes the award-winning writing through a network of literary magazines, and served as the project's managing editor for its first two years. In 2010 he wrote the foreword to the newly released paperback edition of Raymond DeCapite's classic novel The Coming of Fabrizze, published by Kent State University Press. Ardizzone's short stories and occasional personal essays have appeared in scores of literary journals and magazines including TriQuarterly, Ploughshares, The Georgia Review, Prairie Schooner, Witness, Chicago Review, Agni, Mississippi Review, The Gettysburg Review, Epoch, The Bloomsbury Review, The Texas Quarterly, Shenandoah, Sonora Review, Quarterly West, The Seattle Review, The Louisville Review, The Black Warrior Review, Mid-American Review, and The Carolina Quarterly. His fiction has also been or scheduled to be reprinted in several anthologies including Hold That Knowledge: Stories about Love from the Flannery O’Connor Award for Short Fiction, New Worlds of Literature: Writings from America's Many Cultures, Fiction: An Introduction to the Short Story, Hear My Voice: A Multicultural Anthology of Literature from the United States, Smokestacks & Skyscrapers: An Anthology of Chicago Writing, Don't Tell Mama: The Penguin Anthology of Italian American Writing, Best of the Prairie Schooner: Fiction and Poetry, Sweet Lemons: Writings with a Sicilian Accent, Bless Me Father: Stories of Catholic Childhood, Wild Dreams: The Best of Italian Americana, The Flannery O'Connor Award: Selected Stories, Identity Lessons: Contemporary Writing about Learning to be American, The Pushcart Prize: Best of the Small Presses, New Chicago Stories,The Italian American Reader, and Fiction: The Elements of the Short Story. Ardizzone did his undergraduate work at the University of Illinois Urbana-Champaign, where he was taught by Daniel Curley, Paul Friedman, and George Scouffas. After a year of graduate study at the University of Illinois at Chicago, studying with the writers Michael Anania, John Frederick Nims, Eugene Wildman, and Ralph J. Mills, he earned his MFA from Bowling Green State University.There he worked with Philip F. O' Connor, Robert Early, and John Clellon Holmes. Ardizzone taught for several years in the creative writing program at Old Dominion University and later accepted a position at Indiana University Bloomington, where he was named Chancellor's Professor of English and was awarded the Tracy M. Sonneborn Award for having achieved local, national, and international acclaim for both his research/creative activity and his teaching. For several years he also taught in the low-residency MFA program at Vermont College. He lives in Portland, Oregon. His short stories are now being translated in Italian and published in various literary journals and anthologies in Italy. A critical essay by the scholar Carla Francellini of the University of Siena, "Tony Ardizzone e il dettaglio essenziale," along with translations of two of his short stories, were published in the literary journal Atti impuri: luogo di scritture. Italian translations of three additional Ardizzone short stories appeared in the anthology Uè Paisà: Racconti dall'identità italoamericana, edited by Francellini and published by Manni Editori. Another Ardizzone story, translated by Franco Neri, was published in the journal Stato delle cose: pensiero critico & scritture, and Italian translations of two additional short stories written by Ardizzone along with an interview with the author are forthcoming in an anthology to be released in 2019. Francellini also wrote a long chapter on Ardizzone's work in her recently released critical collection Visible/Invisible: Incursioni nella narrativa italiana americana contemporanea, published in March 2018 by Artemidi Edizioni in Rome. Ardizzone's work has been the subject of doctoral dissertations in the United States, Italy, and Greece and has also been discussed in several North American critical texts, including By the Breath of Their Mouths: Narratives of Resistance in Italian America, by Mary Jo Bona; From Wiseguys to Wise Men: The Gangster and Italian American Masculinities, by Fred Gardaphé; Return Narratives: Ethnic Space in Late Twentieth-Century Greek American and Italian American Literature, by Theodora Patrona; A Semiotic of Ethnicity: In (Re)Cognition of the Italian/American Writer, by Anthony Julian Tamburri; The Routledge History of Italian Americans, edited by William J. Connell and Stanislao G. Pugliese; Re-Mapping Italian Americana: Places, Cultures, Identities, edited by Sabrina Vellucci and Carla Francellini; and Beyond 'The Godfather': Italian American Writers on the Real Italian American Experience, edited by A. Kenneth Ciongoli and Jay Parini. Ardizzone's writing was also featured in the award-winning documentary And They Came to Chicago: The Italian American Legacy, narrated by Joe Mantegna and broadcast on PBS. Shortly after the publication of his first book, the novel In the Name of the Father, Ardizzone was invited to to be a guest on "The Studs Terkel Program," which aired weekdays on 98.7 WFMT Chicago. Terkel's conversation with Ardizzone, broadcast on 9 February 1979, is now available through the Studs Terkel Radio Archive. 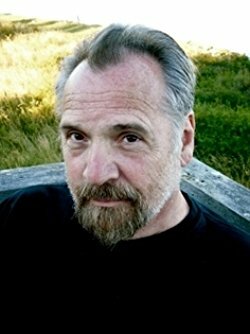 Written transcripts of other conversations with Ardizzone appear on this site's Interviews page.